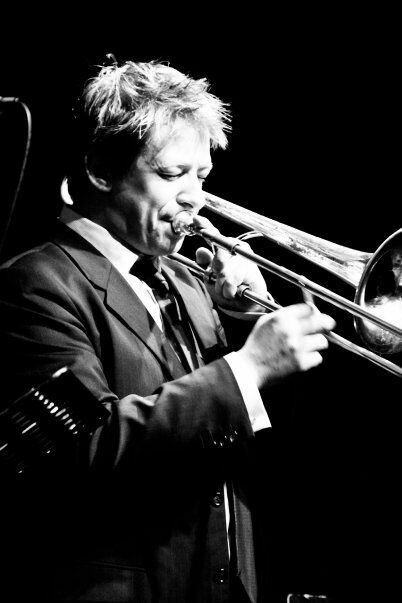 You might know Nick Mulder as a great trombonist, one of the staples of the Melbourne Jazz scene. You might also know him as one of the co-leaders of the interstate nonet that he is running with the Adelaide-based saxophonist Tom Pulford. 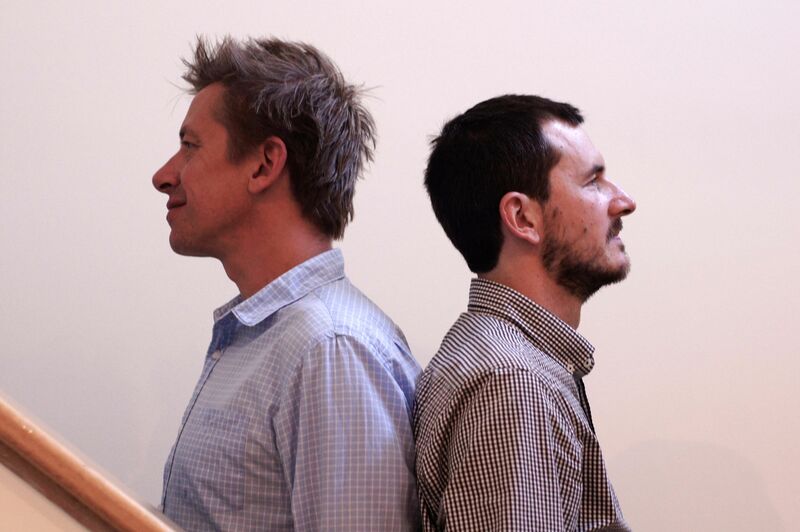 The two of them – plus tenor saxophone player David Theake – are embarking on a tour around Australia, that will probably be an assertive display of the band’s protean qualities, as it will feature a series of local musicians, while retaining its hard swinging force. His excitement is absolutely infectious. AustralianJazz.Net: How would you describe the dynamics between you and Tom Pulford? Nick Mulder: We’re great mates, with a mutual respect for each others’ musicianship and skill as writers and players. We’ve known each other for a very long time so it makes it very enjoyable to write for the band. AJN: How does a long-distance artistic relationship work? NM: The most difficult aspect of an interstate collaboration is rehearsing and writing music! We tend to run the band in seasons, but it’s important to stay motivated and keep talking to each other about the music that’s taking shape. One big advantage is that, when we do get the band together, it tends be something we can both focus on completely and that’s what the music needs to sound right. AJN: What does David Theake bring to the equation? NM: David is a force in Australian jazz. He brings incredible energy and a sense that just about anything is possible to this collaboration. His experiences as a band leader, particularly with the Jazzgroove Mothership Orchestra, have taught Tom and I a great deal about running this group. Most importantly, though, he’s a phenomenal player and it’s a great privilege to have him play our music. AJN: What is it that you find most appealing to the nonet setting, compared to smaller – or bigger – formations? NM: For me, the nonet is the ideal mix of the intimacy of small group jazz with the compositional scope afforded by a big band or larger ensemble. This band really features all the players (and they’re great players!) but also has the writing as a primary concern. As I am a (primarily) big band writer, it took me some time to adapt to the smaller horn section of this group, but now it’s my favorite medium to write for. AJN: In your current tour, you’ll be working with a variety of musicians. How does affect the band’s sound? NM: Any change in a band can really affect the personality of the group, but that’s one of the exciting things about this tour. The music will sound different in each city, but it’s incredibly exciting to meet and play with a number of musicians who are new to us. Again, it’s a great privilege to have these players play our music. AJN: What should the audience expect from your concerts? NM: We hope the audiences will love the music which is close to our hearts. It’s hard swinging small group jazz with the force that you get from six horn players. There are great soloists and they’ll be featured heavily, but above all, we hope the audience gets a sense of how much we love playing these tunes in this format. AJN: What has been the most gratifying experience you have had as a musician? NM: The most gratifying thing about being a musician is just that, being a musician. Most musicians would probably say that music chose them and I think that’s very true. I’ve been fortunate to have lots of great experiences, but playing with Ray Charles would probably be at the top of the list. I was pinching myself for days after that gig! AJN: If you could pick any artist in the history of jazz to be part of the nonet, who would you choose? NM: Herbie Hancock. For me, he’s the complete musician. NM: A means of communicating with people! It’s something that makes you dance (either on the inside or the outside) and can bring a smile to your face, no matter what else is on your mind. NM: Maria Schneider’s ‘Hang Gliding’ is probably my favourite tune at the moment, because it reminds me of a feeling of wide-eyed wonder, and is such a powerful illustration of the connection between music and emotion.